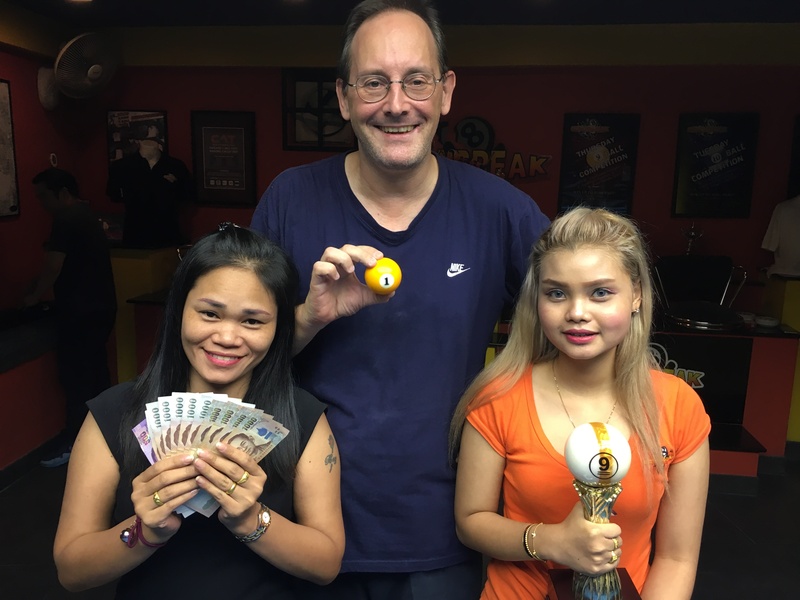 THURSDAY 9 BALL GRAND FINAL : GERHARD WINS!! Congratulations go to Gerhard Schebler from Germany for winning our Thursday 9 Ball Grand Final for Season 17 on Saturday night. 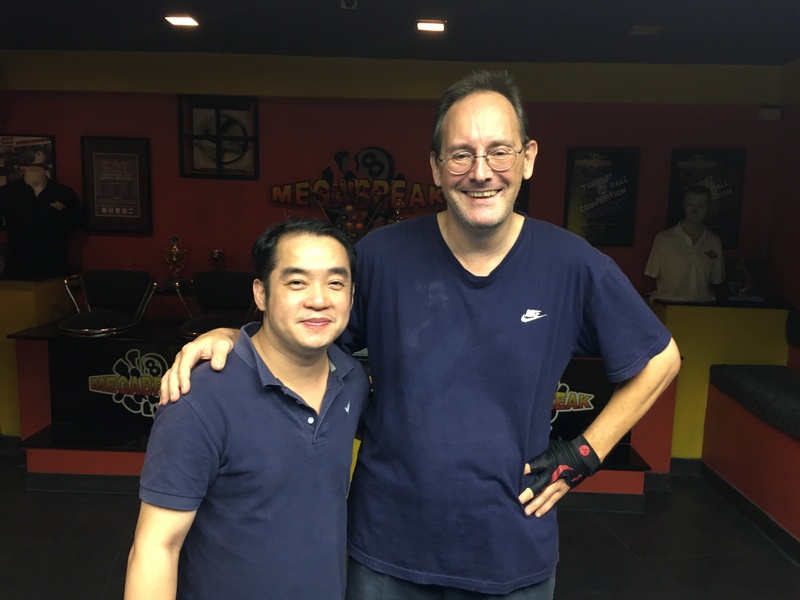 Gerhard has been a regular player in our tournaments for the last two months, with limited success, but on Saturday night he found his form when he needed it most to win for the very first time. 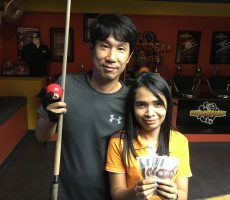 He is now the fourth consecutive “first time” winner of a tournament here at Megabreak. 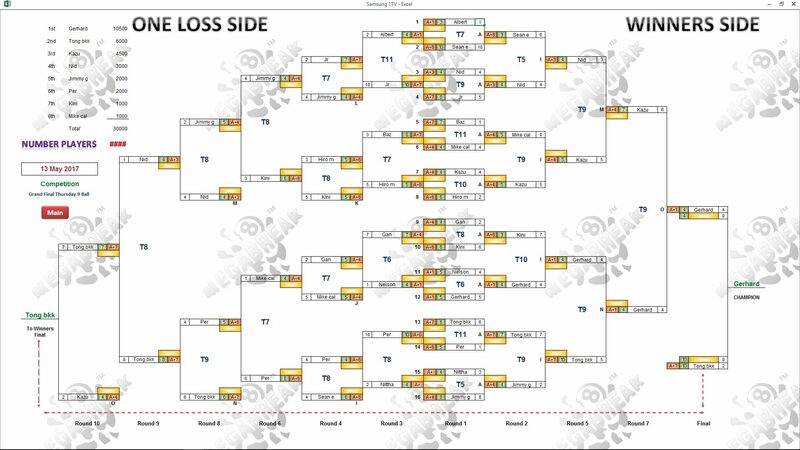 In the final he comfortably defeated Thailand’s Tong Songyouth Wattanasagonpunt, 3-4 in racks (race 3-10) to lift the trophy and take home the 1st Prize of 10,500 baht. He remained undefeated through five separate matches, and was a worthy winner. 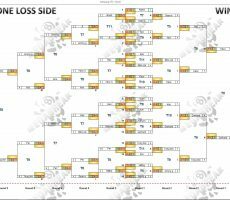 Tong played some good pool to reach the final, before alcohol and tiredness started to take its toll, and received 6000 baht as Runner-Up. 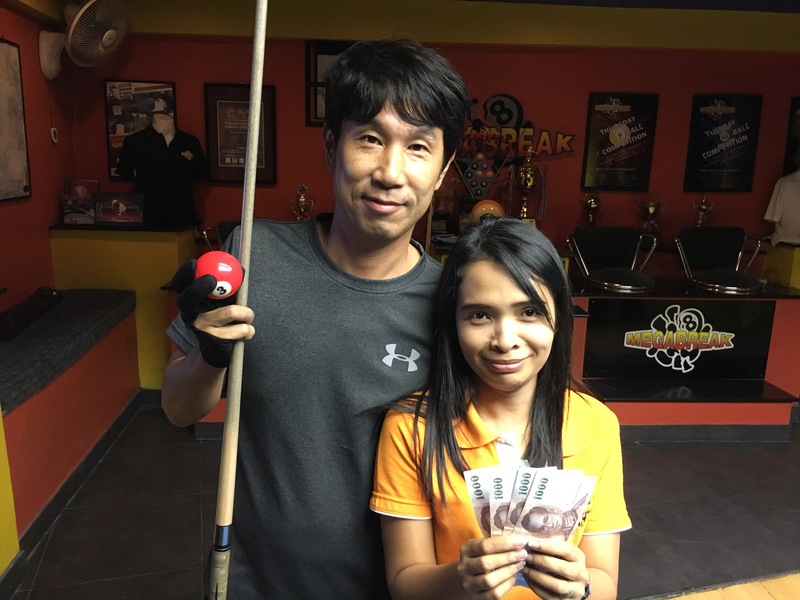 In 3rd Place was Kazunori Sekimata from Japan who was only beaten by Tong and Gerhard on the evening, collecting 4500 baht. He was closely followed in 4th Place by Thailand’s Nid Mirantee Phukthamt who took home 3000 baht. Her handicap now moves back up to A+4 as a result. 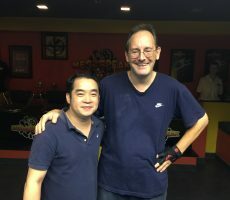 In equal 5th Place were Per Erik Makitalo from Sweden and Jimmy Schmitt from Germany, collecting 2000 baht each, and the other money winners on the evening were Kini Joaquin Perez de Tagle from The Philippines and Michael Calvert from England, who each received 1000 baht for finishing in equal 7th Place.